From society balls and dinner dances to fundraisers and charity galas, the Borders Events Centre is perfect for them all! The Borders Events Centre and its large, multi-purpose function hall, plays host to a number of charity balls and dinner dances throughout the year. Many are repeat customers who come back year on year. Seating around 450 guests for a dinner and dance, the hall offers everything you could need in one location including on-site car parking, a huge professional kitchen and, importantly, spacious, clean loos! We have lots of optional extras including staging, a bar, chair covers and tie backs and more. 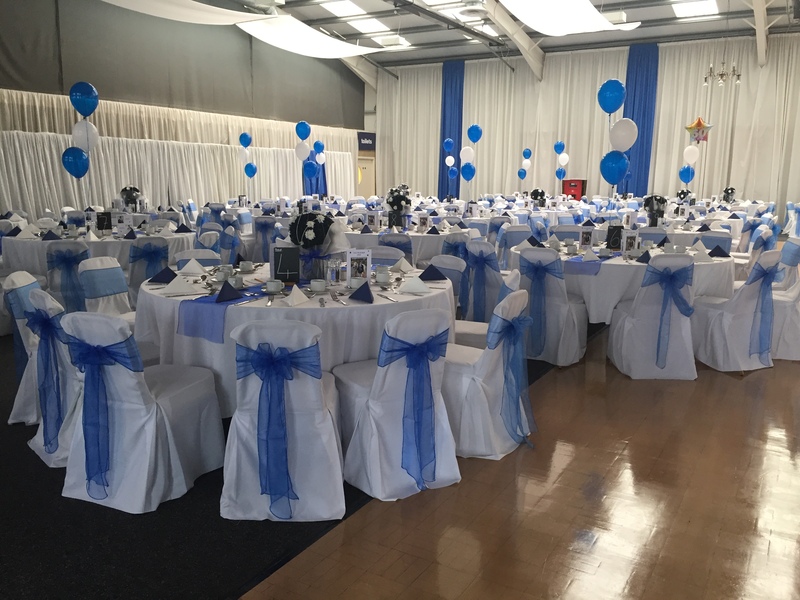 The Springwood Pavilion is purposefully somewhat neutral in its decor, allowing event organisers to furnish, style and decorate to their desire. Our white wall drapes can be jazzed up using our colour blocks (with coordinating chair covers and tie-backs of course!). We have an excellent relationship with event stylists and would be delighted to put you in touch with them. We would be delighted to discuss your requirements, so please do get in touch.